Whether you live in the city or in the country, fires can be destructive – especially during the holidays when people have lit their trees, candles, and various other holiday preparations. Whenever you have a lot of lights or open flames, it because doubly important to protect your homes against fire. With thirty-eight percent of fatal fire injuries occurring in homes with no smoke alarms, installing an alarm like the Kidde Worry-Free Alarm is a simple step you can take to help protect your family. An alarm for every room in the house! Installation was very easy. Since I was installing my alarm in the kitchen, I just needed the single drywall screw to attach the alarm to the wall. All said, installation took about 2 minutes. 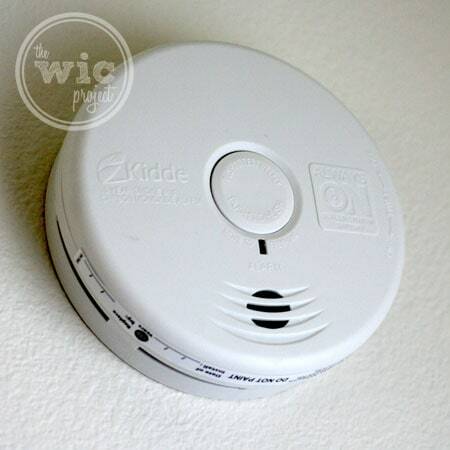 The benefit of the special Kidde Worry Free Kitchen Smoke and Carbon Monoxide Alarm is that it uses “intelligent” sensing technology to prevent any “false alarms.” With my old smoke detector, the alarm would go off every time I cooked hamburgers. (I promise I wasn’t burning them!) Since installing the Kidde Worry Free Alarm, I haven’t had to throw open windows and start fanning the detector with a dish towel – not even once! The Kitchen alarm also has a carbon monoxide detector and a talking voice alarm. 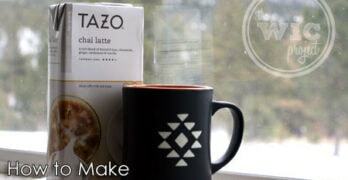 A “smart” alarm that detects real fires vs. cooking smoke. I didn’t know until recently that smoke alarms have a “lifespan” of about 10 years. Since I’m not sure how old our alarms are, I’m taking the step of replacing all of our smoke alarms with new smoke alarms. With the old smoke detectors, I needed to replace the battery every 6 months to ensure the alarms were in working order. Kidde Worry Free Smoke Alarms are powered by a long-life lithium battery, which means you don’t have to replace any batteries…ever. Once you install the Kidde alarm, it automatically turns “on” and doesn’t need to be replaced for 10 years. Not to get too “mathy”, but replacing your smoke alarm’s 9V battery twice a year costs at least $5/year. For 10 years, that means you’ll spend $50 in replacement batteries. 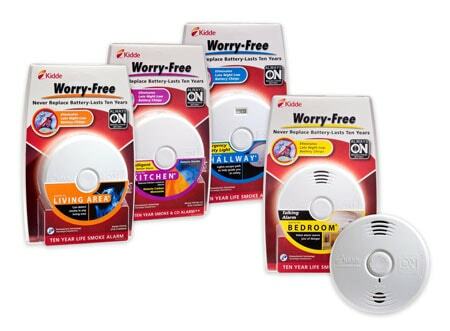 The cost of the Kidde Worry-Free Smoke Alarm starts at $25. That means you’ll save about $25 or more across the life of your alarm, just by switching to Kidde Worry-Free Alarms. The new Kidde Worry Free Smoke Alarms are powered by a sealed-in, long-life lithium battery for 10 years, offering the millions of Americans who rely on battery-powered smoke and fire detection 10 years of continuous protection – without those annoying 2 am low battery chirps. One winner will receive the Kidde Worry Free Kitchen Smoke and Carbon Monoxide Alarm. I have a Smoke alarm and a Carbon Monoxide alarm.I change the batteries when I set the clocks back in the fall. We have 2 smoke alarms and 1 carbon dioxide alarm. I change the batteries every month. Can never be too safe! I have 2 and I do not replace them each year. We have smoke detectors. I’ve replaced the batteries whenever they begin to beep the low battery warning. I have several smoke detectors, but I really need to change the batteries more often. We have one smoke detector (small house) and we change the batteries every 6 months. I have 2 smoke alarms and I cahnge the batteries when the alarms alert me to. We usually replace the batteries twice per year. We have two. Not sure when we changed their batteries, I should check! I have one smoke detector and one CO detector. I replace the batteries every 6 months without fail. I have two smoke detectors in my apartment, that go off at the slightest bit of smoke, like when I broil something… drives me nuts! You can hear them go off throughout the complex! I change the batteries January 1. I’d love one of these detectors that can tell the difference. I have 1 detector and I TRY to change the batteries 2 times a year. We have 2 in the house, and we change them twice a year. We have 2 smoke detectors and 1 carbon dioxide detector. I change batteries once a year. Two smoke alarms, change batteries every 6 months, but check their charge monthly. We have a smoke alarm in every room and change the battries once a year. We replaced the batteries every 6 months. 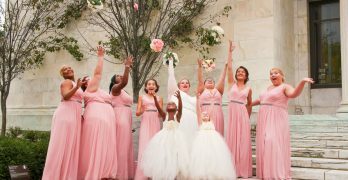 Yes, we do it at the time changes! Yes and every 6 months. thanks for the giveaway. We have quite a few smoke alarms and we change the batteries every 6 months or when one beeps. I have 2 smoke alarms in the house and the batteries are replaced every 6 months. We have a smoke detector & change the batteries once a year. We have one and it has 10 year batteries in it but we do check it every 6 months or so just to be sure it is still working! We do have smoke detectors but they are old and need to be replaced. Have two smoke detectors. Don’t change the batteries often enough. I have 2 smoke alarms and have not changed batteries in a long time. I have two and replace the batteries with every time change. We have 3 smoke alarms and we replace the batteries when the alarm chirps. I have three smoke detectors. I change their batteries once a year, or as needed. We have two smoke detectors, and change the batteries about once a year. We have 2, and I replace the batteries when they start chirping. I don’t think about them other than then. i just installed a worry free smoke alarm, said I have to check twice a year but the battery is good for 10 years. We have one and I change the batteries about once every 3 months. Yes, I do, and I replace the batteries twice a year! I have six smoke detectors. I replace the batteries whenever they start chirping. Yes we have one, but I can’t remember the last time we replaced the batteries. Our smoke alarm would go off constantly when we cooked bacon or had a steamy shower, so we unplugged it, but once we get our own house, we’ll have some. yes, i change the batteries twice a year! We have a few, we change the batteries when they start to beep, telling us that they are almost dead. we have 4 smoke detectors and change batteries annually! We have about 7 smoke alarms and they are always needing new batteries! We have two. One in the living room and one upstairs. I havent changed their batteries but I know the one downstairs still works it went off for cooking smoke the other day. I need to check upstairs. yes i have a couple in my home and i replace it when it starts beeping when the batteries are dying. We have one and change the batteries when it starts beeping. I have 3 fire alarms in my home and replace the batteries when they chirp. I have 3 alarms and we change the batteries 2 times a year. We have two smoke detectors and we replace the batteries when they start to beep. We have two and we replace the batteries once a year. We have two and just replaced them this year after 2 yrs. yes we have smoke detectors and carbon detectors and change battery when they beep. Have 2 old ones, need new! I have smoke detectors throughout the house, and I replace batteries twice a year. Wouldn’t live without them! So important to have these in every house! I have one smoke detector which does me no good because the battery is dead! I have several. The batteries are changed out around time changes. I have two and change the batteries every six months. I have one in every room and replace batteries with the time change. yes there’s one in every room! We have smoke detectors in our apartment. I don’t check the batteries often enough. I had no idea that fire alarms have life spans! I think I need to replace mine, just in case! I need to get one of these for my kitchen. Every time I use our oven it goes off. Can’t bake while my day sleeping SO is sleeping. Thanks for reminding everyone how important these are!